Divorce is difficult in every way: emotionally, spiritually, and financially. Many couples believe they will be the exception to the rule when they decide to divorce. They imagine they’ll be the ones to navigate an amicable split and save on the expense of hiring an attorney. That is the most common mistake divorcing couples make. Although amicable splits are possible, they are certainly not probable. Divorces often develop a direction of their own, and even the most cordial arrangements can take a sudden, sinister turn. Divorce decrees can help calm emotions by objectively outlining not only who gets what, including the sofa and the flatware, but also child support, possible alimony, and time with the kids. Expert guidance. An experienced attorney will ensure you get what you deserve. State laws do not necessarily guarantee an even split of assets. In some cases, your spouse may be entitled to future earnings, including retirement. There may be debt that is not yours that you will be held financially responsible for. A lawyer knows how best to guide and protect you and your assets. No mistakes. Lawyers are paid not to overlook details. If you forget a piece, such as medical or credit-card debt, or if you do not assess the worth of an asset correctly, you may cause yourself serious, irretrievable financial harm. Such errors can necessitate future court appearances at best; at worst, you may set yourself up for a long-term financial burden. A clear, binding agreement. Attorneys can draft and enact a divorce decree that expresses your exact wishes. Legal documents can be complex, and an attorney will file all the necessary paperwork in all the right places. Language is vital to agreements, and the use of an attorney will ensure that the language is free of errors or unclear wording that may make the decree difficult or impossible to enforce. Ask friends which lawyers they used. Read testimonials. 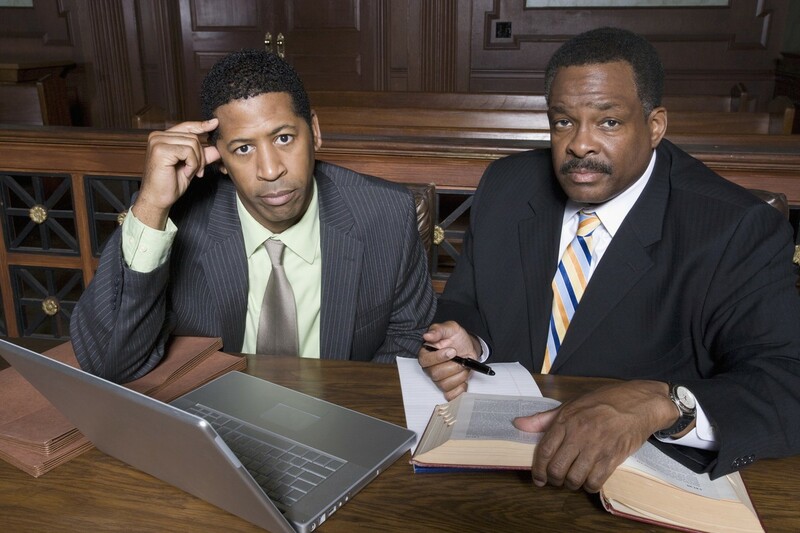 Many lawyers specialize in certain areas such as alimony or child support. Take them up on their free consultations. This is a time when you get to meet face to face, and you can get a sense of whether or not you will work together well. Keep in mind you may be revealing pretty intimate details of your life with your ex to this person, so you need someone you are comfortable with. If this person doesn’t inspire your confidence, move on. You need to find out the lawyer’s level of experience. How many cases has he or she handled that are similar to yours? What were the outcomes? Do not hesitate to ask questions that seem bold—remember, the lawyer works for you. Also, be sure to go over the attorney’s fee schedule. Though it’s not possible to predict exactly how much it will cost for an attorney to help you with your divorce proceedings, you should familiarize yourself with his or her fee schedule. Hourly rates. You pay the attorney a set amount for every hour spent on your case. These are divided into fractions for hours, and you will pay for every phone call, text message, and e-mail that is transacted. Add that to time spent in court, including wait times to see judges or file documents. Flat fees. These are less common with divorce attorneys, since divorces are not predictable. A seemingly simple divorce can turn extremely complicated if every move is contested. Retainers. You pay in advance for the attorney’s services. This is usual protocol in conjunction with an hourly-rate fee service. You have trouble communicating. Your calls or e-mails go unanswered for more than 48 hours (as a rule of thumb). Your lawyer needs too-frequent reminders about the facts of your case or seems unclear on what you want in terms of alimony, child support, or property division. You are filling out paperwork or documents that you have already filled out. Court dates are frequently extended without a really good reason—or no reason is given to you at all. Deadlines are missed, even once. You get the sense you are not being listened to or represented with your—or your kids’—best interests at heart. If the above behaviors are happening on a regular basis or if you feel you cannot effectively communicate with your lawyer anymore, sit down and have a frank conversation about what you are feeling. If you are not satisfied or the relationship seems uncomfortable, interview new attorneys. Hire a new lawyer before letting go of your old one. The judge many not let your old lawyer leave the case until she has received paperwork from your new lawyer. In most states, the lawyer must turn over your file, regardless of an unpaid bill. Keep in mind that anything drafted in the file is deemed the lawyer’s “work product,” and it doesn’t have to be provided to the new attorney. Only documents you gave to the lawyer or those the lawyer received from others have to be turned over. It will take time for your new lawyer to learn all the facts of your case. You will be billed for that time. It’s not an easy process to hire or change attorneys. They are an expensive undertaking but vital to safeguarding your future. If you want to check a lawyer’s standing before approaching one, contact your state’s bar association. Have more questions? Sister Chat is a private venue where you can get advice from other Solo Moms who’ve been there.